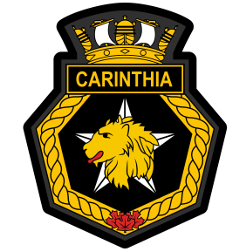 NLCC Carinthia meets at the Optimist Club of Newmarket Hall, 55 Forhan Dr. Newmarket (https://goo.gl/maps/V4JrxntNaYr) on Thursday evenings from 1830 – 2115 (6:30 pm – 9:15 pm). Navy League is for children aged 9 to 12. Navy League bases many of our activities on naval traditions and instills in each cadet a strong sense that they are a responsible and contributing member of not only our cadet corps, but also the greater community. We get involved with a number of events (such as camps, games, trips, and competitions) which develop leadership skills in the cadets and make for an enjoyable time. All cadets take part in regular training on Thursday evenings (September to June), but several activities fall on other evenings and some weekends. Cadets are expected to participate in most of these events as they allow us to help the community (e.g. assisting with the Royal Canadian Legion’s Poppy Campaign), to increase the visibility of the Navy League in the community (e.g. 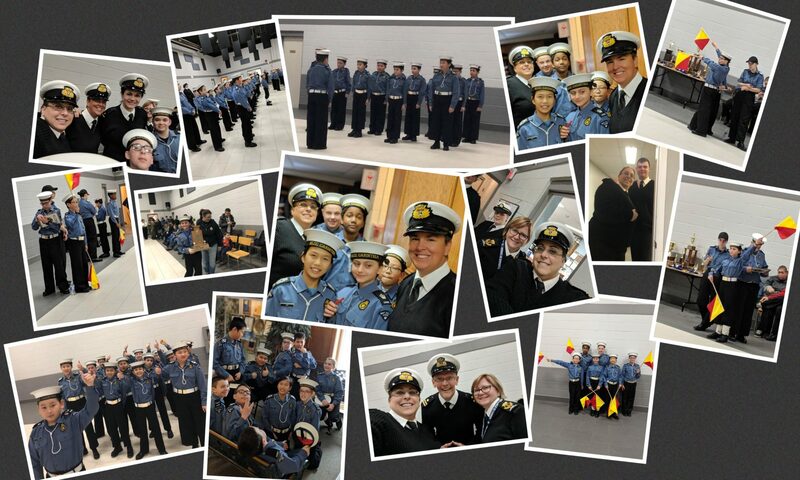 marching in the Newmarket Santa Claus Parade and participating in our “Tagging” fundraising days), and to develop leadership skills and let the cadets have fun (e.g. attending our camps). All those involved with running NLCC Carinthia are volunteers. There is no membership fee, but we have various fund raising activities that we use to help finance our work, and these are considered mandatory. We have a weekly canteen that costs $1 and a workbook that costs $2 for each level of training. Our activities are supported by our organizing committee which is known as the Branch. All parents are expected to participate in Branch activities. This support could include driving cadets, organizing events, selling and buying fund raising items, assisting at camps, etc. You may wish to visit our Facebook page (https://www.facebook.com/NLCCCarinthia/).